All the stuff that goes on out of sight. 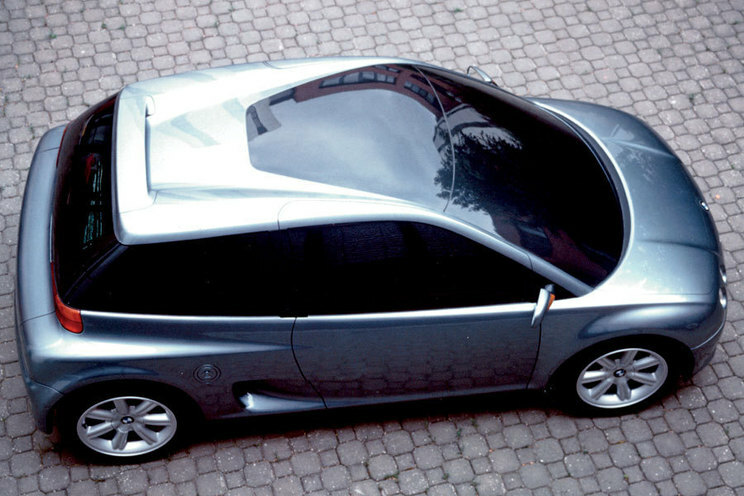 While we’re on this Citroen kick, I wondered idly about an alternative evolutionary pathway from where the XM left off. 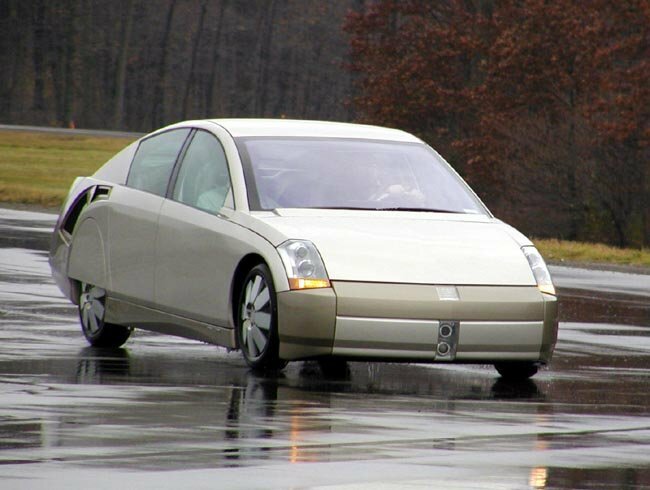 What could Citroen have done next? What Is The Difference Between A Skoda Rapid And A Skoda Rapid? …quite a lot if the first one is from India and the second one from Europe. Images: Skoda India and Skoda UK. Author richard herriottPosted on 29 May 2015 3 Jun 2017 Categories Current Affairs, Design, Marques, Skoda, Technology & EngineeringTags 2015 Skoda Rapid Europe, 2015 Skoda Rapid Indian, comparison of Indian and European market Skoda Rapid, engines9 Comments on What Is The Difference Between A Skoda Rapid And A Skoda Rapid? In the previous instalment we looked at the first three incarnations of the Seat Toledo. 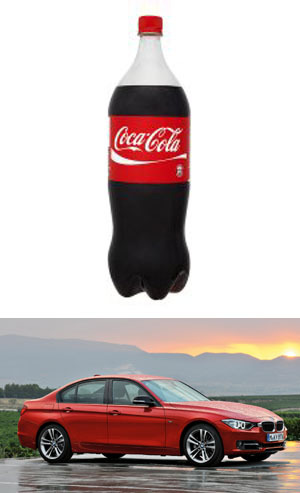 In this article we ask what, precisely is the difference between a Seat Toledo and Skoda Rapid. And maybe make a few other points as well. 2015 Seat Toledo. I hate these leafless yards that art directors so adore. These have inspired people across Europe to rip out their plants and cover their front garden with asphalt or gravel. Image: SEAT UK. If it doesn’t exist, I will invent it. 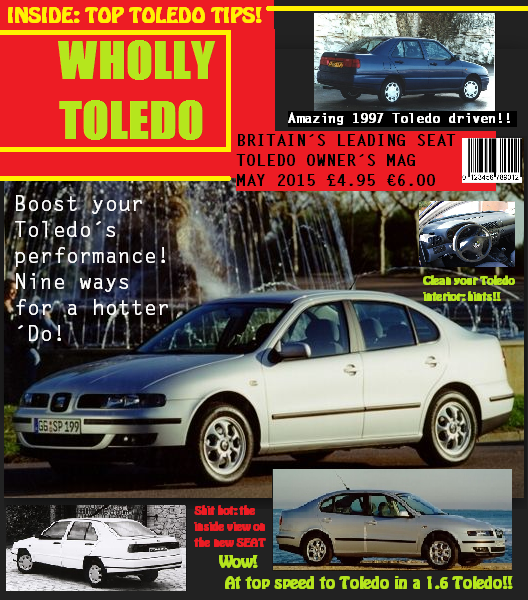 Wholly Toledo is the popular magazine for UK fans of the SEAT Toledo. 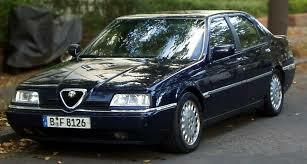 The Seat Toledo. How often does this name come up? Answer: not very much. Yet since 1991, SEAT have been selling something tagged as such. Right now it’s a quite conservatively styled medium-small car with the neat conceit of looking like a saloon but actually being a hatchback. Haven’t we heard this before? 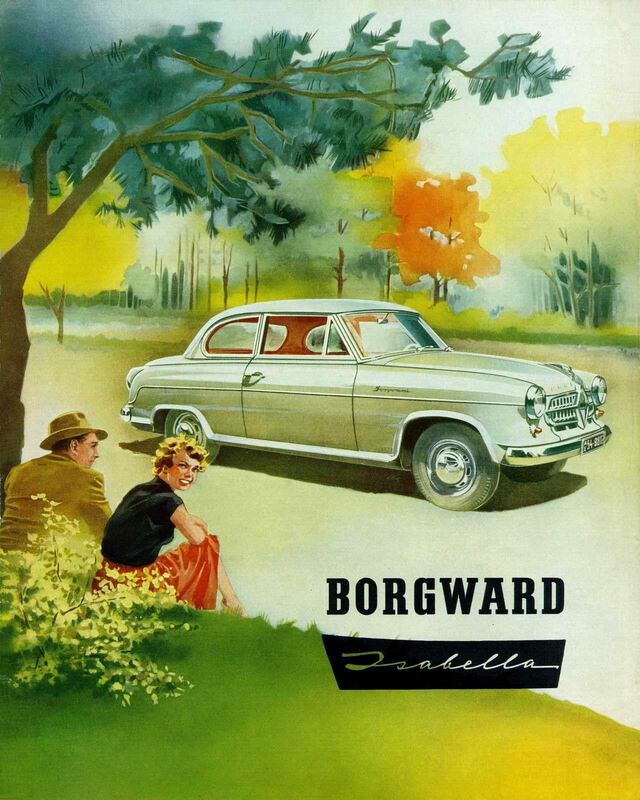 At the end of the 1950s, there was a sizeable group of home-owned players in the German industry, but we shall concentrate initially on three of them – Borgward, NSU and Glas. Only the first few paragraphs of this piece are fact, the rest is entirely speculation as to how things could have worked out quite differently, yet might have ended up much the same. Before MINI, there was Minki. Minki 1 schematic – Minki 2 featured a longer and wider body. Image via Austin Memories. The zenith of Jaguar’s commercial ambitions was this famously unsuccessful 1961 saloon flagship, whose shattered legacy resonates to this day. Some six months after the euphoric launch of the E-Type, Jaguar launched this radical saloon. 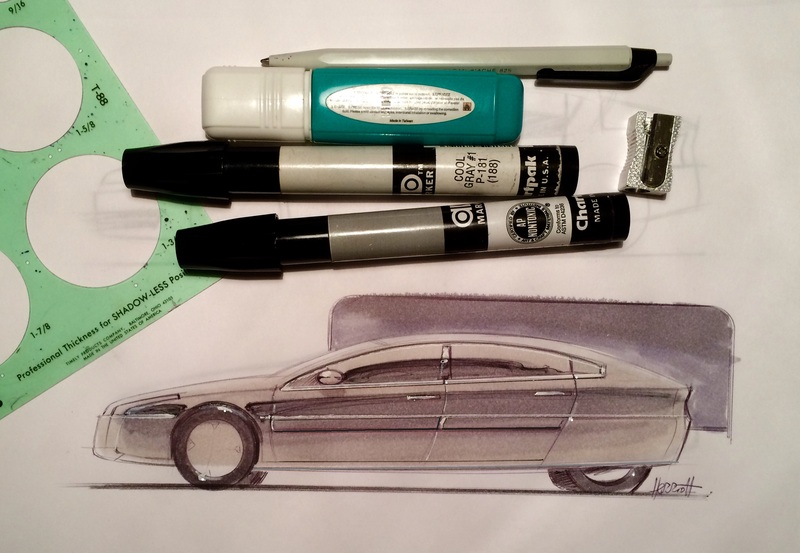 Given the project name of Zenith, Mark Ten was a dashingly modern, dramatically styled leviathan of a car, conceived specifically for the all-important North American market. Famed for his astute reading of market trends, Jaguar founder, Sir William Lyons didn’t believe in customer clinics or product planning. 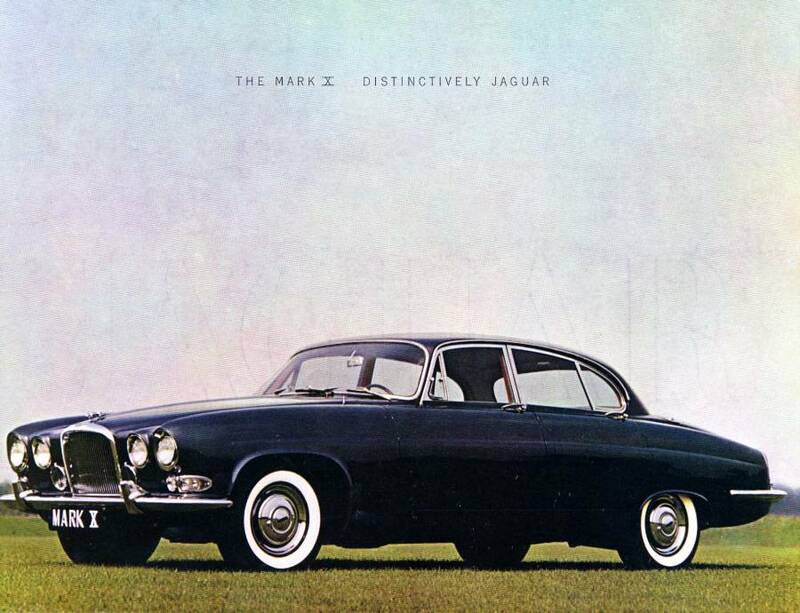 Mark Ten was his vision of a full-sized luxury Jaguar Saloon. 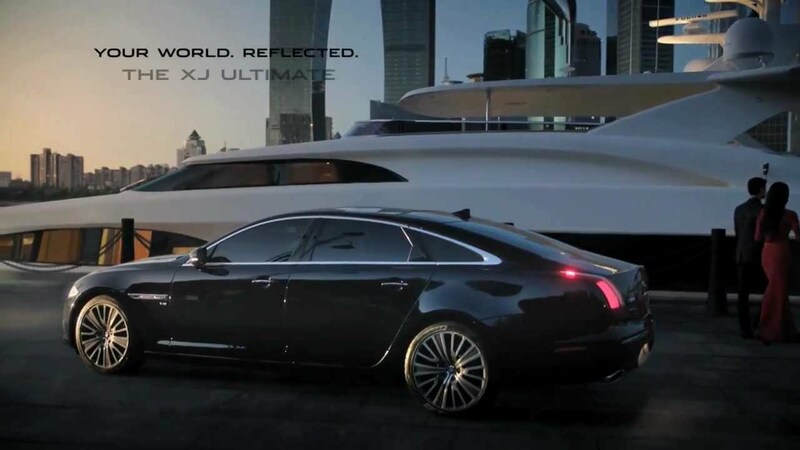 Bigger, more opulent and technically sophisticated than any European rival. The story of how the Buick aluminium 215 engine became the Rover V8 is often-enough told so I will use this little posting mostly as a short guide to some of the most entertaining versions. 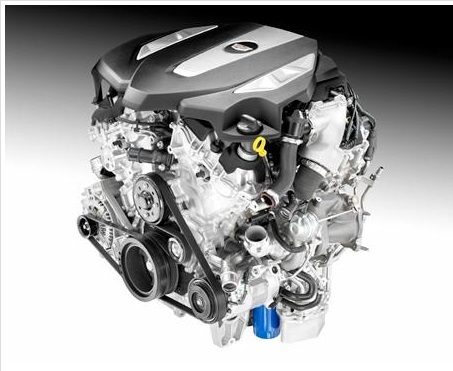 Automotive News has reported that the 2016 Cadillac CT6 will be equipped with a twin turbo V-6 (below). We wonder if this device will also power Opel’s possible future range topper, the revived Senator. 2016 GM V6 twin-turbo engine. 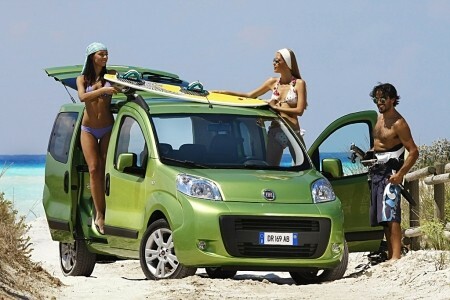 Image from Automotive News. The horse before the cart – or was it the other way round? It hardly seems like an invention but innovators often do something that, with the benefit of hindsight, the rest of us think is so bloody obvious that we can’t see what the fuss is about. 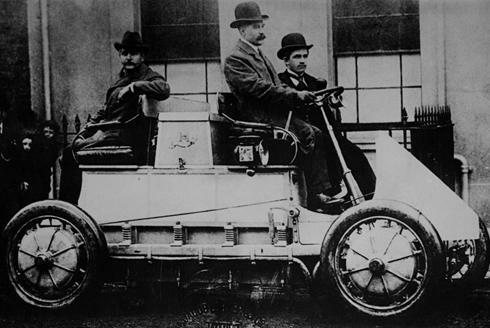 So, in 1892, after a couple of years of fiddling around with alternatives, Émile Levassor decided to put an internal combustion engine in the front of the car he was developing with René Panhard, then he connected it to a clutch with, behind that, a simple gearbox which took drive back to the rear wheels. This they continued to develop, producing the forerunner of the manual gearbox we recognise today in 1895. Recently under the rubric of the Geneva Motor Show 2015, I mentioned the Light Cocoon concept car produced by the consultancy EDAG. This work highlighted the possibilities of additive manufacturing methods. 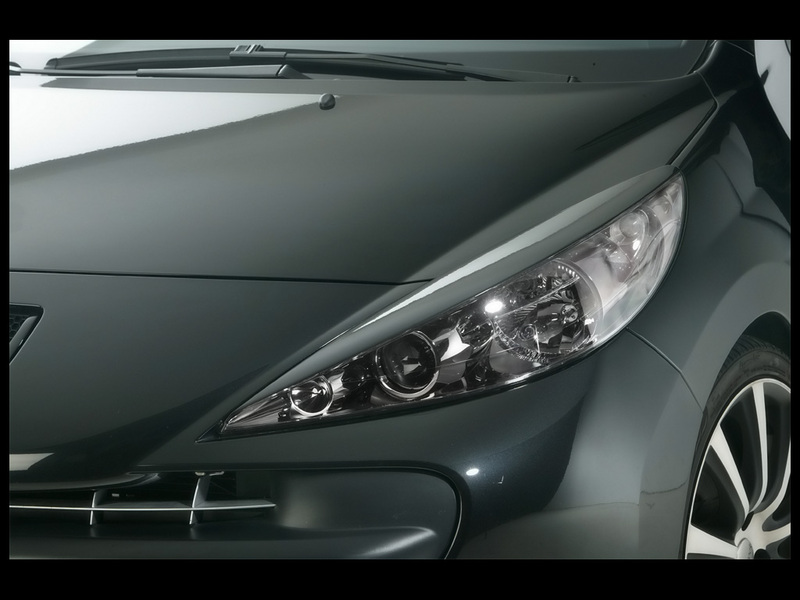 Does it have a meaningful place in the future of car manufacture? One of the questions hanging over electric cars is about how inner city residents can recharge them if they don’t have off-street car parking. 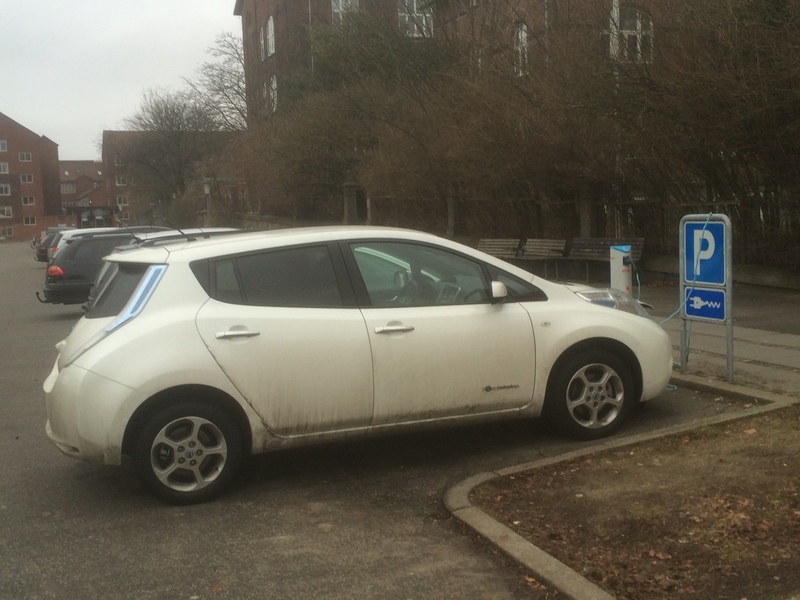 This photo shows the Danish approach: put the recharging stations on the street. I don’t know how this works but will endeavour to find out. At the moment there are no signs to say these parking places are exclusive to electric cars (though this might be implied). There are several dotted around where I live and I have seen them in the middle of Dublin too. Britain’s Aerodynamic Pioneers – Frank Costin and Malcolm Sayer profiled. Further to the article about driverless cars, I’d like to draw your attention to Bosch’s path towards driverless cars. The first cars were not fast enough for anyone to be particularly concerned about the amount of air that stood in the way of their progress. 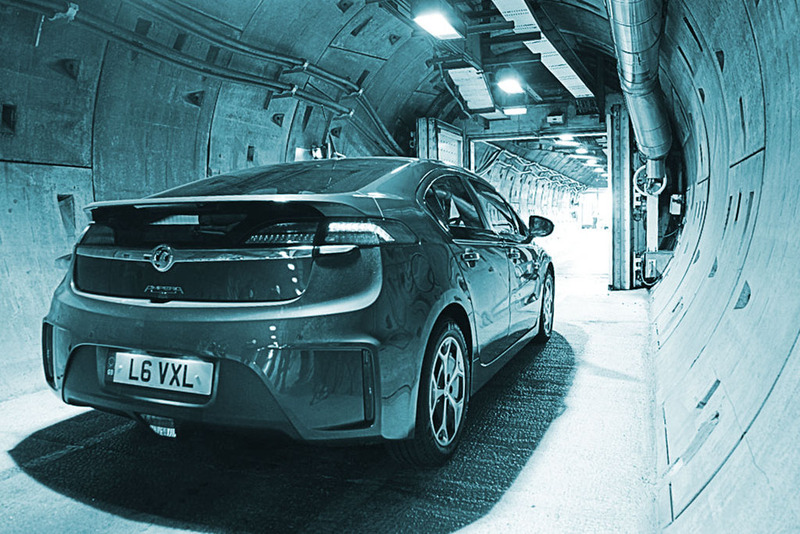 Therefore, although drivers soon learnt to hunch themselves over the wheel to reduce the passing air’s effect on themselves, it took longer to realise how important it might be to reduce their effect on the passing air. 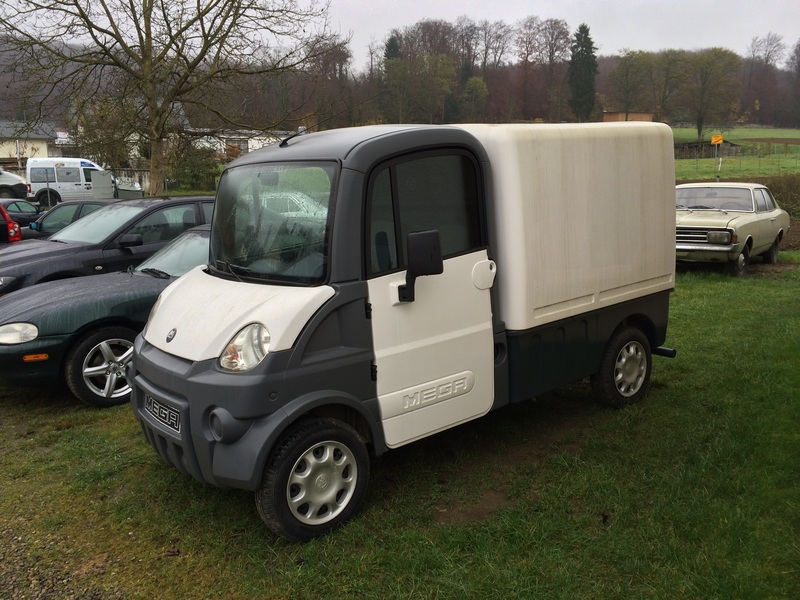 On a recent trip to southwest Germany I spotted this vehicle on a used-car dealer’s yard: an Aixam Mega Van. A Change for the Worst? If you drive a manual car, where do you look for the gearshift? As a default, central and forward of the front seats. Until the late 1960s, this was not always so. At one time, a piece of bent metal originating directly from the gearbox and capped with a Bakelite knob, was a sign of a cheap car. A better car, a quality car, more often had its gear change mounted on the steering column. This was only logical. This put it in easy reach of the steering wheel and freed up floorspace for a central passenger on the bench seat, or made for a more congenial driving experience when you were with a close friend. Who would have it any other way? Other types of gearboxes, such as torque converter automatics and pre-selectors followed this pattern. 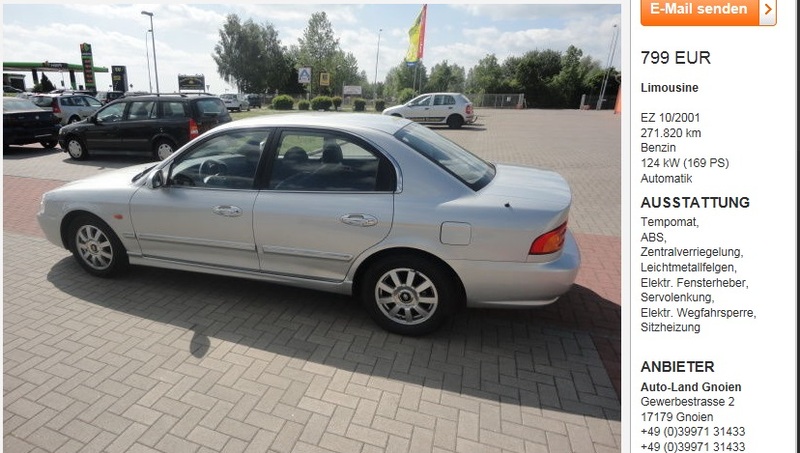 The Danish climate is tough on older cars, especially those designed for drier climates. One solution is complete after-market galvanisation. 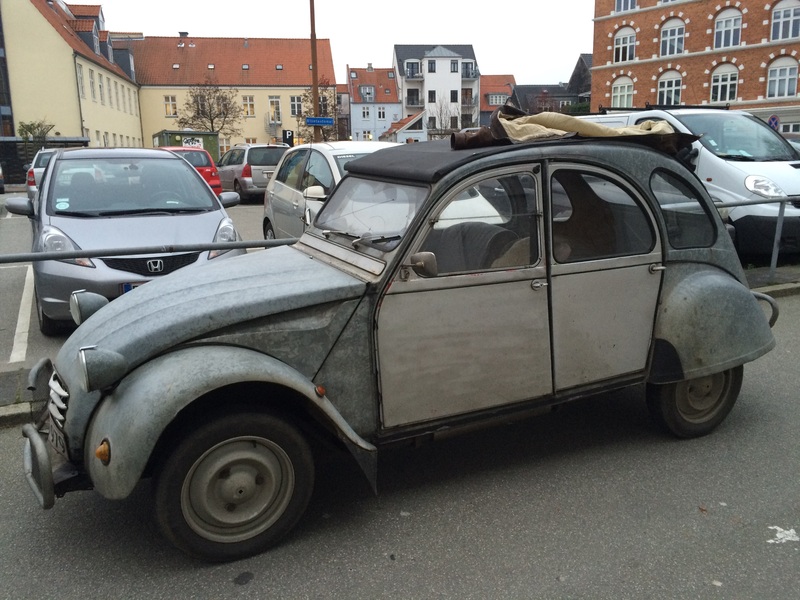 Look at this Citroen 2CV to see how it appears when so treated…. Peter Stevens has asked if electric cars need a new form language. His contention is that at present they either look conventional like the Tesla, or have “a strange self-righteous appearance”. What else does he say? God is in the details, as Mies Van der Rohe said. 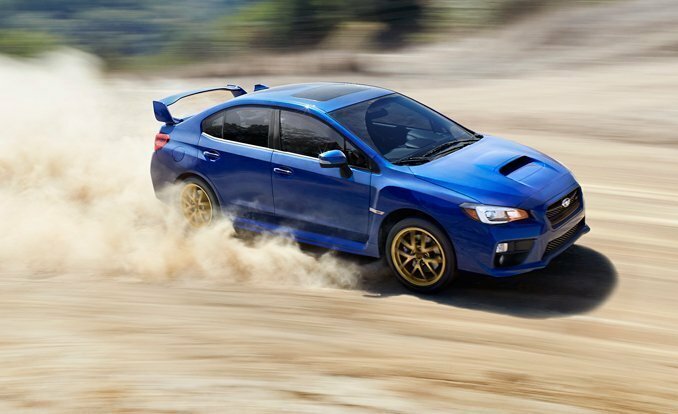 Subaru’s recent WRX STi has attracted my attention with an engineering choice that deserves respect. I have two reasons for this article. One is the subject itself, Subaru’s devotion to steering quality, and two is to make up for our neglect of the brand. 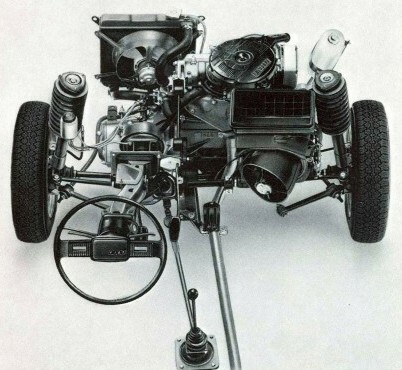 During our recent foray into engines, DTW failed rather spectacularly to mention Subaru who have championed boxer engines on the grounds that these make for a car with a lower centre of gravity, to the benefit of handling among other boons. Time to look back on the month of August and see what we have learned. Theme : Engines – The V6 Also-Rans. 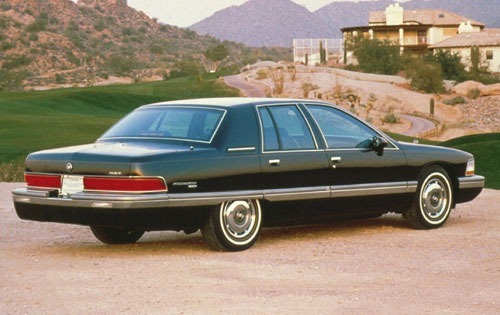 Recently DTW surveyed the decline of the mid-size family car with a V6. Further reflection led me to uncover some of the also-rans that trailed in the category. 2001 Kia Magentis V6: classic used-car salesman photography. This post-script adds four vehicles to the list of V6 contenders who have tried but not succeeded to gain sales from the dominant manufacturers. All four are marginal cars from marginal makers. Taken together they comprise a foursome fit for a comparison test in a future edition of Classic and Sportscar, say, 2024. 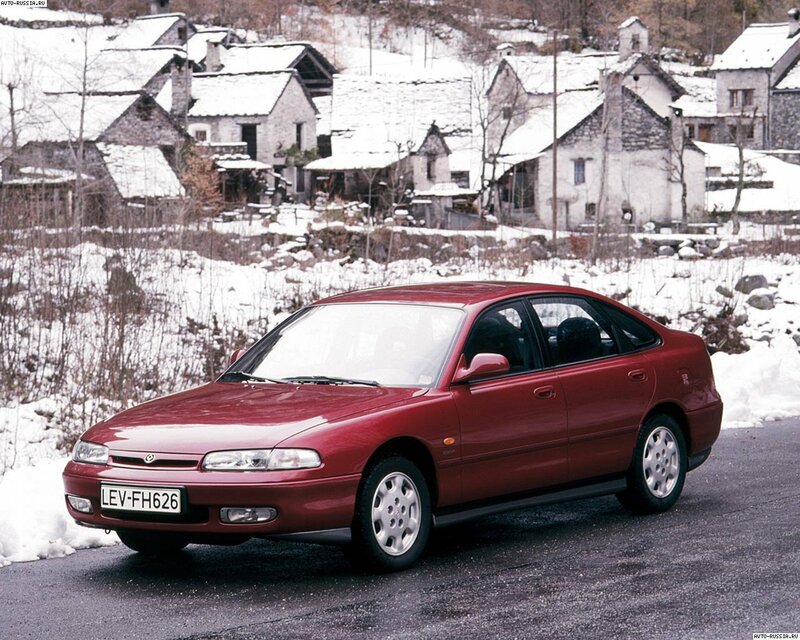 Author richard herriottPosted on 30 Aug 2014 23 Oct 2017 Categories Engines Theme, Monthly Themes, Technology & Engineering, The HistoryTags 1996 Mitsubishi Galant V6, 2001 Kia Magentis V6, 2003 Hyundai XG 350 V6, 2006 Ford Mondeo Titanium V6, 2007 Saab 9-3 V6Leave a comment on Theme : Engines – The V6 Also-Rans. 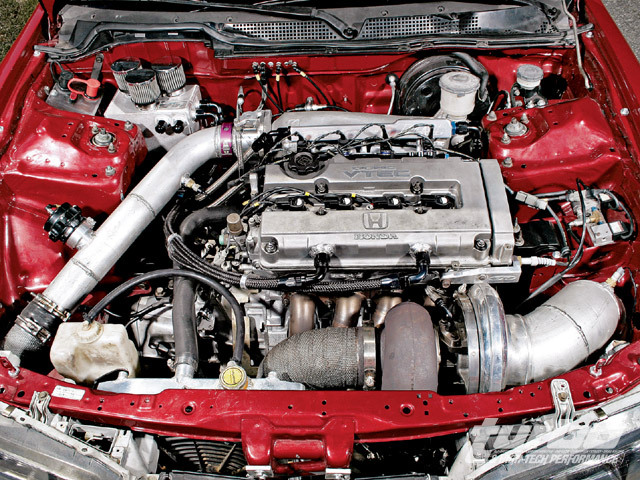 How does it stand with the gold-standard of engines in the C/D class? 1992 Mazda 626 V6: one for trivia fans. Patchy is the answer. Opel and Citroen still offer V6s, a diesel 3.0 and a 2.8 petrol respectively. Elsewhere it is a story of decline, staring in the middle of the last decade. You can make 4-cylinder engines bigger but what about making a smaller 6? With engines, as with everything else, there’s a pecking order. But who rules the roost? Then and now: how does Fiat’s present engine range compare to that of 2004? And are they making use of the engines available from Chrysler? As a little diversion, we suggest our readers might like to look at Kevin Cameron’s thoughts about the future of the internal combustion engine, published in Car & Driver magazine a day or two ago. There are a views in the article you could take issue with but it’s an interesting American view on the IC engine’s future. I would argue that Cameron discounts the importance of government legislation and he assumes that the externalities of the IC engine (i.e. the costs everyone else pays for its use that are not factored into the sales price) will not be one day accounted for. Who has the most engines to offer customers? DTW takes a close look at the state of play at VW, Opel and Ford. This has a V6 under the hood. The operating assumption behind this small study is that engines matter. More precisely, if a manufacturer can offer a decent range of engines for a given class of vehicles then they are very likely to have a better chance of selling something to someone. 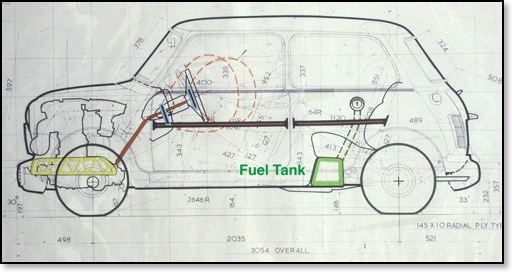 I’ll restrict my research to Ford, Opel and VW for this particular study. Do French engines live up to that nation’s fine engineering heritage? In Post War Europe, engines were restricted by reasonably arbitrary taxation classes. In Britain, the old ‘RAC Horsepower’ rating was based on an archaic formula that related to the bore only, not the stroke and didn’t actually refer to the actual output of the engine. Despite it being abolished in the late 1940s, it meant that the longer stroke engine, with its relatively low rev limit, lived on far longer in much loved stalwarts such as the Jaguar XK and BMC A Series and it did stem the development of lighter, freer running engines. 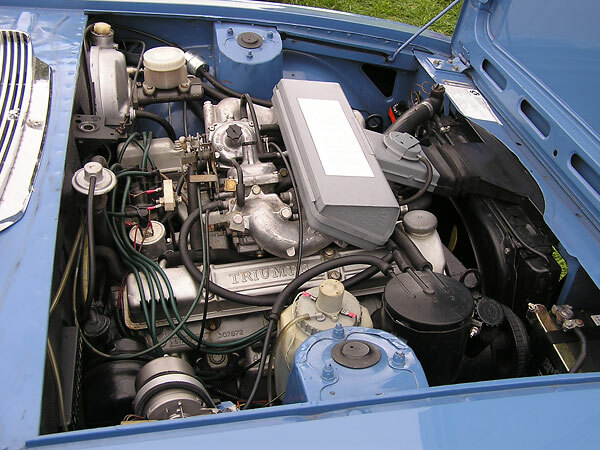 Italy was less prescriptive and, although there were aberrations, like home market only 2 litre Ferraris and Alfas V6s, it allowed the development of the sweet engines found in the Alfas and Fiats of the 60s. 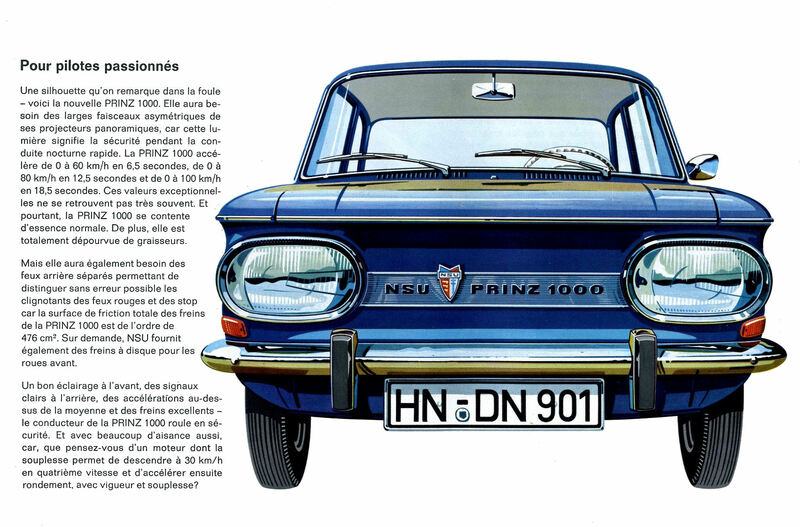 The French tried to be more scientific, with a fiscal horsepower tax that brought in various factors but, generally, encouraged smaller engines of 4 cylinders and less. Thus, in a country that has a fine record in technical advances in motoring, engines struggled to keep up. Ah, the Triumph Stag V8, the stuff of classic car legends. It’s all there for a long chat at the pub: dashed hopes, shoddy Midlands workmanship, the dark days of British Leyland’s decline. 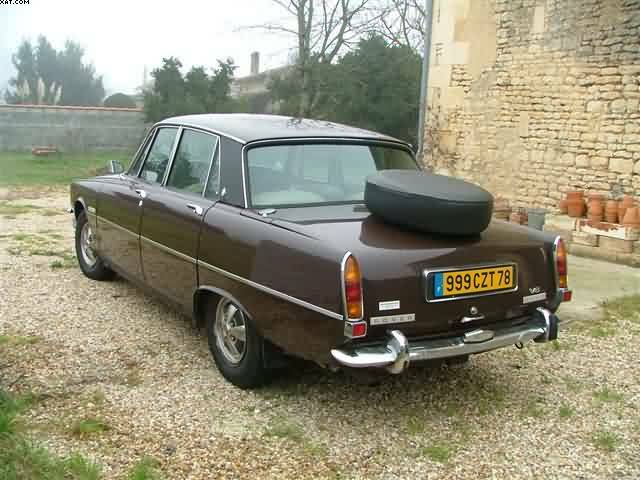 There’s even a bit of Italian in there, as Giovanni Michelotti styled the car. The bit we’re interested in is the V8 though. The Iron Duke engine: an American interpretation of a European staple. Theme : Engines – The Final Stroke? Author Simon A KearnePosted on 1 Aug 2014 6 Jun 2017 Categories Engines Theme, Monthly Themes, Simon Says, Technology & EngineeringTags Alfa Romeo, Citroën, duesenberg, engines, Ferrari, Jaguar, Morgan, The Industry1 Comment on Theme : Engines – The Final Stroke? 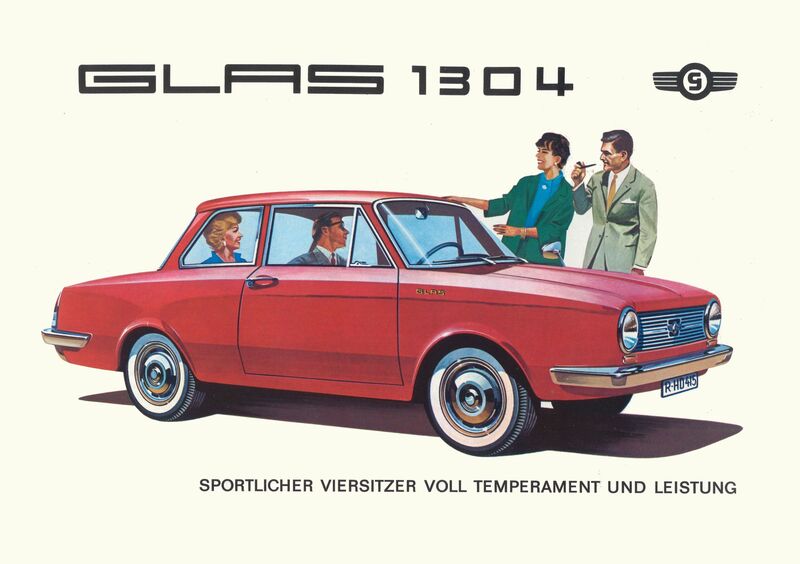 This thread looks at a period of transition as injection moulding, safety legislation and changing taste in colours acted to markedly alter how car interiors looked. The late 70s was the period when the dashboard became seen as an integrated whole rather than a set of items screwed to a bulkhead. 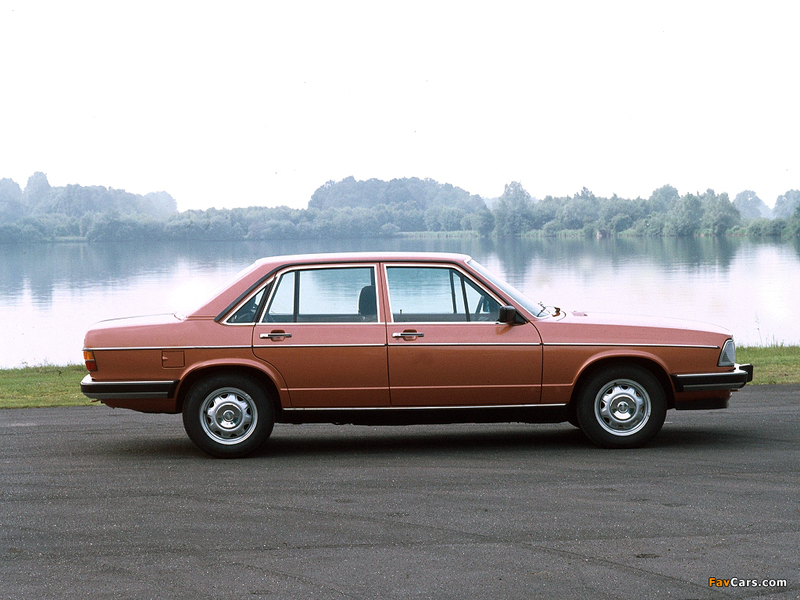 Of course, Citroen´s SM got there in 1971 but did it without injection moulding on the scale possible in 1981. In this article I examine the change-over from metal and glass to all-plastic interiors that occurred in the mid 70s. 1971 Morris Marina interior. Spacious and simple. We’re not still sticking lights on the front of our cars, are we? Time for some fresh thinking perhaps. Modern life isn’t necessarily rubbish, but on balance, it is somewhat disappointing. Not just the gnawing pointlessness of so much of it, but the nagging sense that the brave new world we were promised back in the 70s has decisively failed to materialise. Because laying aside for a moment the jet-scooters, orgasmatrons and robotised dogs we were all expecting to enjoy, there remain aspects of the motor car which really should have met the rendezvous with the eternal. 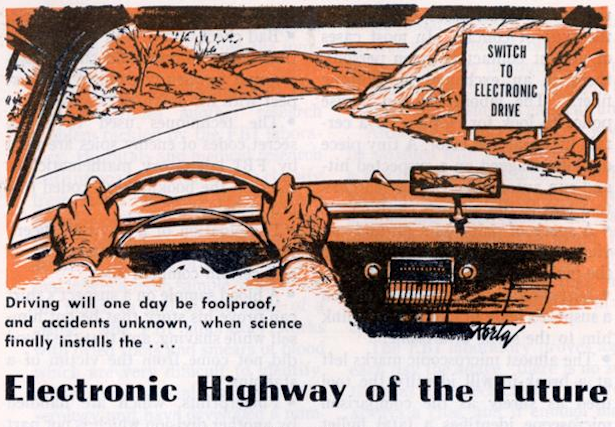 What is the future for Car Manufacturing? Author Eóin DoylePosted on 13 Jan 2014 2 May 2018 Categories Current Affairs, Design, Technology & Engineering, The Future, The IndustryTags The Industry2 Comments on What Lies Beneath? 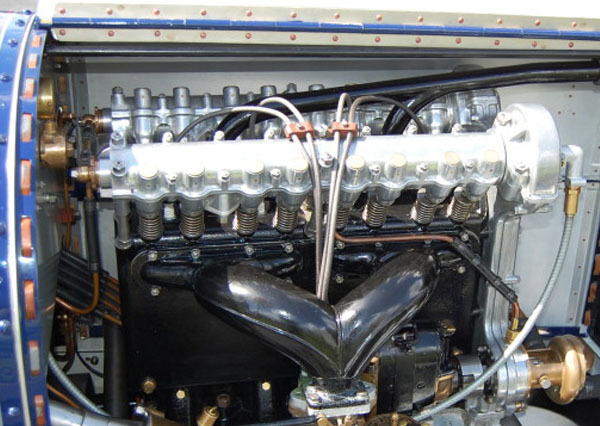 The in-line eight cylinder petrol engine has receded into history. It has powered some of the great cars – the Alfa 8Cs, the Mercedes 300SLR, the Duesenberg SJ and the Bugatti Type 35, but its last appearance in a production car was in the early 1950s, in the finely named Packard Patrician. The reasons for its disappearance are pretty obvious. It is not the greatest packaging solution and, with all those stresses and temperature variations laid out in a long line, it presents a whole series of engineering problems. Why bother when a V configuration is easier? For anything that has to be made to a budget, that is probably a reasonable attitude to take but, for some of us, the engine has a hugely exotic attraction, highlighted by its very impracticality.